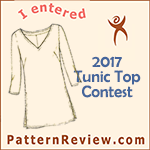 I have been meaning to post about the outcome of the Tunic Contest! This was the tunic I entered. Well I came in fourth with the number of votes. I think there were about 81 entries, so not to shabby result. 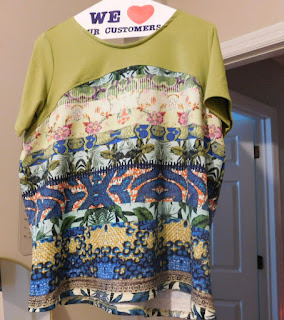 I enjoyed the process of making this tunic and learning to use my ruffler foot. 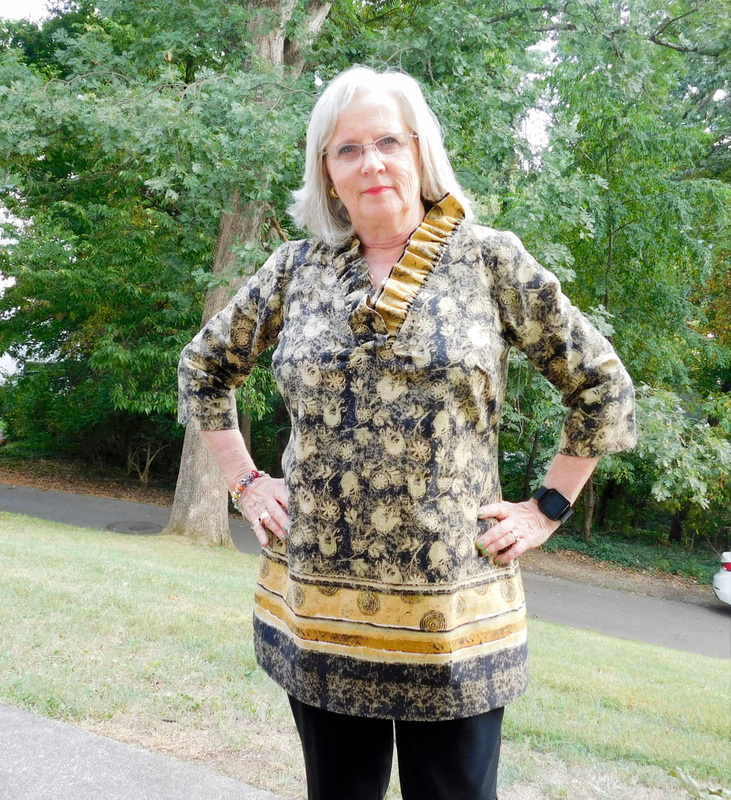 I actually wore the tunic a couple of weeks ago when we had some almost fall weather! It passed the wearability test and I got quite a few compliments from staff and my DH. Now that it is a officially fall, we are back up in the upper 80's, low 90's. So put this aside for the moment. 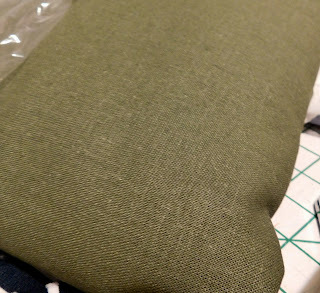 I may try another tunic using the Tunic Bible when I find the right fabric. Congrats Linda - This is great! ♥ Your tunic looks wonderful! Love those colors and the ruffled collar. It turned out so nice. 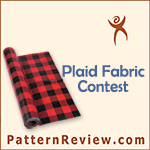 Beautiful fabric choice and very flattering colors on you. 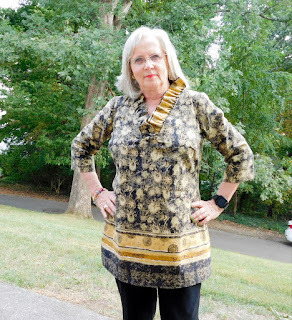 What a gorgeous tunic! Very beautiful. Congratulations, Linda!